In the last year, we saw a number of excellent new models that were released to the market, some of them low cut others as colorful as rainbows, made of a wide variety of materials, and a large number of them with unique designs and styles. The best basketball shoes for 2016 are those which serve the main purpose they are designed and made for – playing the game. The best shoes for basketball players must be flexible, durable, and comfortable plus to offer extra support. If chosen for fashion only, then the design is the obvious leading factor when choosing the best model for us. This is our first choice for the coolest basketball shoes. This model by Nike offers a perfect combination of a beautiful style and comfort. The Overplay IX shoes are designed to provide sufficient ankle support and yet be light. The synthetic leather make of the shoes plus the added mesh upper allows for extra breathability, comfort, flexibility and support while playing. These shoes have extra cushioning and a TPU shank for extra stability for the feet. This model by Nike features the Herringbone pattern outsole allowing for maximum grip, traction and quick multidirectional movements on the basketball court. These come in a variety of colors and color combinations to suit any taste. Probably the best feature of this particular model of Nike is that it is very affordable as compared to other basketball sneakers in this class. So, given the excellent traction, comfort and support of these shoes, plus the super cool design and ridiculously low price, we would surely recommend the Nike Overplay basketball sneakers to all players and non-players shopping for the top basketball shoes. The next model of shoes which makes it into our most comfortable basketball shoes for 2016 is this awesome model. A signature pair of shoes made specifically for the playing style of Lebron, this particular XIII model offers the wearer to play in a faster pace and more aggressively on the basketball court. These trainers have flywire cables which are ultra light and adjust around the feet depending on the movement. This dynamic adjustment causes the flywire to tighten when the player is performing quick cuts or is changing the direction suddenly, and thus gives the feet and ankles the support necessary when they are at higher risk of injury or ankle rolling. For extra impact protection this model is fitted with Nike’s Lunarlon midsole, which also provides a responsive cushioning to the feet during the game. The design of this pair is almost seamless because of the modern hyper-fuse system used in their design and production. This has made these shoes extra light and allows them to fit every foot like socks. Yet, even with the tight fit, they are breathable. The outsole of these Lebron XIII shoes is thin and allows for extra traction for the players on the court. So, with a stunning design, the ultra-comfortable and protective fit, and the extra quickness and aggressiveness they add to the player’s movement, these Lebron basketball shoes are one of our top six picks for the best basketball shoes for 2016. Another pair of basketball shoes which have made it into our top six of the best ball shoes for 2016 are these wonderful Reebok pair. Following Reebok’s tradition to design and make the fastest running shoes, this model makes no difference. They are light and flexible, and will suit players who want to move fast and to quickly change directions on the court. The cushioning of these shoes gives great comfort during a game, and will reduce the straining of the feet following some active playing. The Wall Season 3 Zig shoes are stylish and comfortable, and can be purchased at a truly attractive price. It is a good idea to buy half a size bigger ones especially if your feet are wider. The comfort which the inner shoe gives will make them fit perfectly, and the extra security against ankle rolling is another plus. So, if you are looking for cool looking, light and yet secure and stable basketball shoes at a great price, this is a pair you should definitely try on. You will be thanking us after seeing the improvement in your game, and the comfort this pair of shoes provides! Of course, we can’t make a list of the top models without adding an Air Jordan model. The Jordan IV is one of the leading models in this classic series feature the iconic Nike elephant logo. This model was designed by Tinker Hatfield and not only stuns visually, but also offers the perfect comfort and the top athletic performance which every basketball player needs. This model from the Air Jordan series continues the tradition of the greatest basketball shoes made, which began back in 1980’s when Michael Jordan wore a pair on the basketball court. 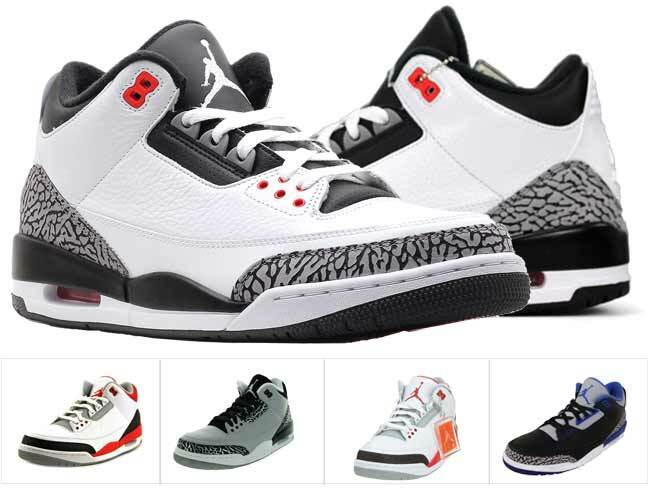 If you decide to get a pair of these babies, please beware that there is a multitude of knockoffs of this and other Air Jordan models, so make sure that you are getting the real thing, especially if you intend to wear them on the basketball court. Look for an excellent quality make, the iconic Jumpman logo and the feel of these shoes before buying them. Nevertheless, with the amazing design and the athletic performance they provide, these Air Jordan shoes are a definite candidate for the most comfortable basketball shoes. 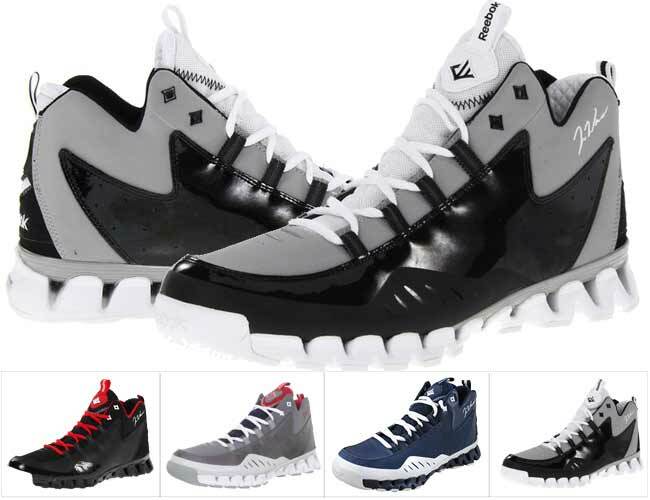 The next pair of good basketball shoes which we would like to point your attention to are the AND 1 men’s Rocket 3.0 mid. For all serious basketball players and admirers, AND 1 is a name symbolizing the professional basketball game. The Rocket 4.0 shoes have special heel quarter molding which gives the foot that necessary support and stability during the game. While they fit tightly and comfortably, the mesh tongue of these babies gives these shoes extra breathability even during extensive exercise and playing. The low construction keeps the feet closer to the ground, and the especially designed insole provides extra arch support via a system which actually mirrors the shape of the heel. This insole is removable for those who prefer to wear the shoes without that extra cushioning. Overall, these AND 1 shoes improve the speed and the performance of the player, and are lightweight and flexible. This model is a bit wider than the other basketball shoes, so as usual you are advised to try them on to get the perfect size for your feet before buying a pair. So, in conclusion, for serious players, there is no doubt that the AND 1 Rocket 4.0 are one of the top six best choices at the moment given that unique design and extra comfort and cushioning they provide. Probably the most lightest and definitely the most hip looking model in our top six for 2016, the Under Armour Men’s UA ClutchFit Drive Mid are another pair we strongly recommend for athletes and for people who enjoy a more active lifestyle. They provide extra support via the trademark ankle hugging sleeve they feature, and the snug fit plus the light weight of these shoes will give basketball players that extra speed they need to win the game. The extra cushioned landing of this stylish model will provide super comfort and reduce the strain in the feet after a tough game. 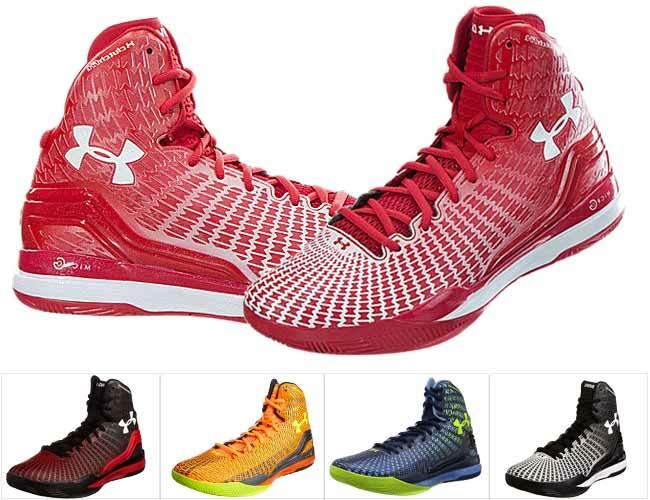 With this extraordinary design, the provided comfort and the lightness of these Under Armour shoes, we definitely give them our thumbs up as one of the top basketball shoes of the season. How to find the best shoes for basketball? When looking for the best basketball shoes, it is important to take into consideration what exactly you are buying them for. Do you play basketball professionally, do you play for fun, or do you just like the style and look of these models? Once you answer those questions you will know what to look for. We will leave the fashion question aside for women interested in zumba or kangoo jumping, and will concentrate on the things to look for when shopping for the best pair of basketball shoes which you will use for actual ball games. First of all, the models, the ankle height, and the weight and flexibility of the basketball shoes can differ depending on the position you are playing on the court. The shoe models differ depending on whether you are a point guard, a shooting guard, a small forward, a power forward or a center player. For the basketball shoes for point guards must be lighter, durable for the explosiveness of today’s point guard game, and as a recent trend these are often low top shoes. Given all the amazing players we currently see playing point guards, it is no surprise that the leading brands are competing to create the coolest signature sneaker lines for the One position in the basketball game. If you are playing as one of the shooting guards on your team, then you should choose shoes which offer better and more stable ankle support. When playing the sharpshooter of the team, the low cut models which offer the ultimate high performance and extra lightness and cushioning are recommended for those playing the shooting guard position. The players who play as small forwards on the basketball court can differ very much in their player style ranging from powerful and strong to agile and swift. Thus the shoes you should choose when playing this position largely depends on your playing style. 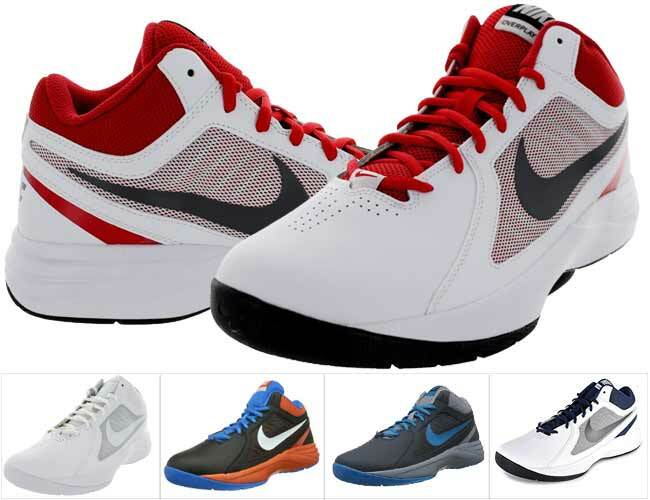 The classic choices for shoes for players in this position are the models from the Nike and Jordan brands. They are of both types – low cut, light and flexible models vs high-top, heavier and durable ones for those who play down low. 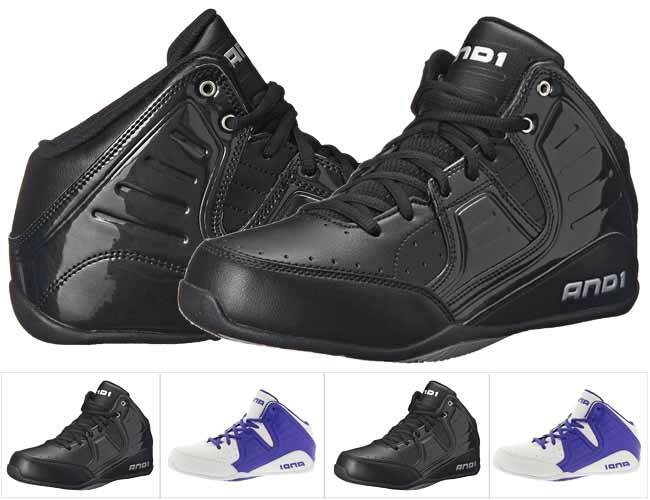 The best choice for the power forwards must provide ultimate comfort, ample ankle protection and the maximum levels of support, which means that the high-top models or mid-cut ones are recommended for those playing the power forward position in the game. The shoes for centers are required to be as durable as possible, to provide ankle protection because of the risk of rolling ankles, and also to provide extra cushioning and support. Of course, no matter what position you play on the team, you must always look for the model which offers a good fit and feels comfortable. For those who actively play basketball, it is a good idea to measure your feet before buying a new pair of sneakers, because even after the years of active growing are over, the foot shape and size continues to change with time. Always try before you buy. You can even do several jumps in the store and some movement to get the feel of the sneakers. Also, as with other shoes, when you are trying them on, wear the type of socks you will be wearing when playing. It is a good idea to get basketball shoes which offer a snug fit, but remember to buy a size which has at least a finger width of space from the longest toe to the shoe. The ankle height of the basketball shoes is also a matter of playing style and personal preference. Get high top shoes if you feel comfortable playing with shoes which offer the maximum support to the ankles but remember that this extra material makes them heavier and bulkier than other models. The mid top shoes allow more freedom of the movement than the high tops. These models are the most popular ones and are an excellent choice for beginners and for all-round players. The low top basketball shoes (some of which can even double as crossfit shoes ) offer very little ankle support but they are remarkably light and flexible. They have become a popular choice in the last several years, so more brands are producing low top basketball training shoes today. Last but not least, when choosing the right basketball shoes, you naturally would want to buy a model made by a preferred producer. 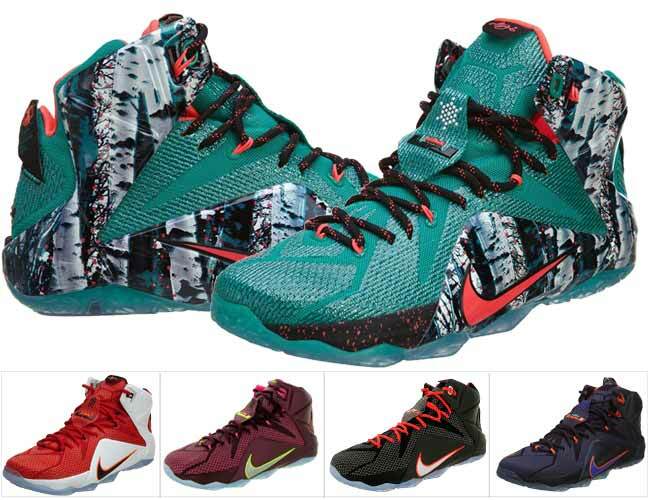 There are a number of brands which have established themselves as leaders in the basketball shoe industry. There are also a wide variety of signature models, so you can choose your shoes according to your preferences for teams and players as well. Nevertheless, even if you have not chosen one of these extremely good basketball shoes for yourselves, always keep in mind that the classic and reputable brands such as Nike, Reebok, Under Armour and AND 1 will probably have the right shoes to meet your athletic performance and your personal taste.